Venezuelan President Hugo Chavez, the controversial leader who championed a socialist revolution in his country, has died after a battle with cancer. He was 58. Vice-President Nicolas Maduro made the sombre announcement on national television Tuesday, saying Chavez died at 4:25 p.m. local time at a military hospital in Caracas. 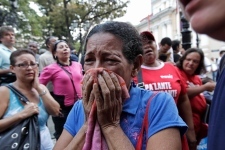 As the news reverberated around the world, grieving Venezuelans spilled out into the streets of the capital, crying and shouting: “Long live Chavez!” Many offices and businesses closed early and extra police officers were dispatched to monitor roads blocked by traffic and crowds. Chavez had recently returned to Venezuela following cancer surgery and more than two months of treatment in Cuba. His Feb. 18 arrival to the Caracas hospital prompted public celebrations, but officials have been warning for weeks that Chavez was in a “delicate” condition. 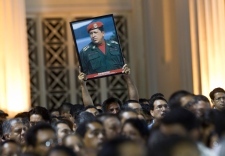 The future of Venezuela and Chavez’s brand of socialism remain uncertain as officials begin preparations for an elaborate state funeral on Friday that’s expected to draw many Latin American and world leaders. Three days before his final surgery, Chavez picked Maduro as his successor. Venezuela's foreign minister Elias Jaua said Tuesday night that Maduro will serve as interim president and that elections will be called within 30 days, as dictated by the country’s constitution. Maduro will be the ruling socialist party’s candidate, Jaua said. During his 14 years in office, Chavez built an international reputation with his declarations of a socialist revolution and his crusade against the United States and its global influence. 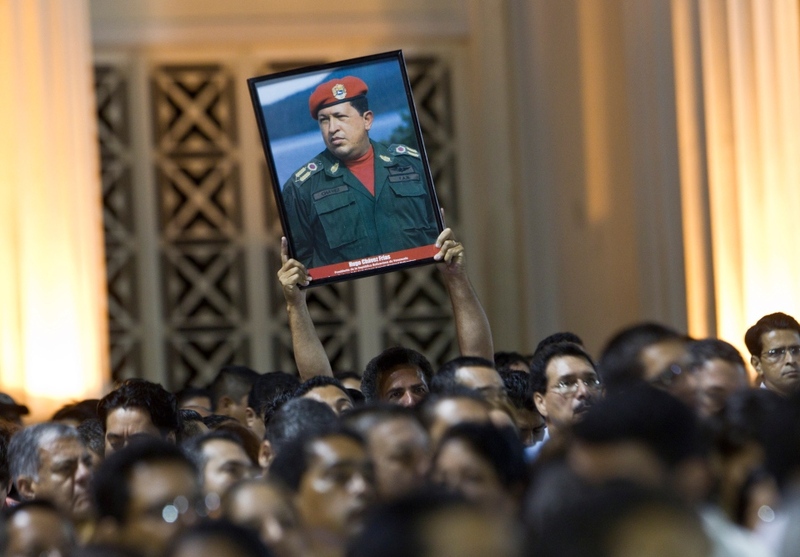 Venezuelans’ opinions of Chavez’s confrontational approach were often split, but he was a populist leader who won broad support among the country’s poor and marginalized. Chavez was born July 28, 1954 into a working class family of schoolteachers. 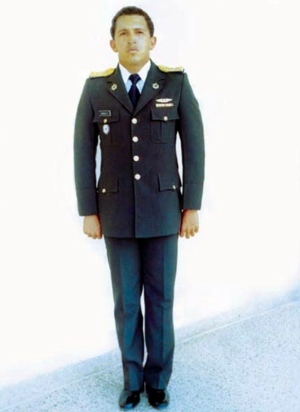 He was raised by his grandmother in Sabaneta, Barinas. 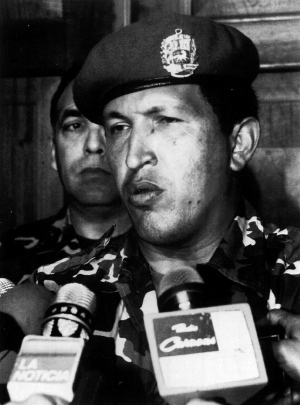 During his military career, Chavez developed his leftist, socialist ideologies that would form the foundation of his presidency. Influenced by 19th-century South American independence leader Simon Bolivar, Chavez attempted to lead his Bolivarian Revolutionary Army to a military coup d’etat in 1992 but failed. He was sent to prison and thrust into the national spotlight, which helped him gain support for his socialist movement. He went on to establish the Fifth Republic Movement, a political party which would see Chavez elected president of Venezuela in 1998. 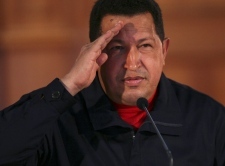 During his presidency, Chavez implemented sweeping constitutional reforms, and placed more control over the country’s oil industry, whose profits were used to fund social, health and education programs. Amid burgeoning unrest in 2002, opposition groups attempted to remove Chavez from office. 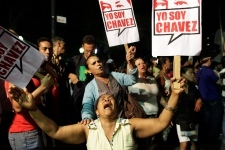 A 2004 referendum to recall Chavez failed. Chavez was an outspoken critic of the United States’ foreign policy and capitalist countries, for which he drew ire and condemnation throughout his political career. Despite tensions between Chavez and the White House, Venezuela has been a top supplier of oil to the U.S. and the two countries have maintained a strong trade relationship. Chavez infamously called U.S. President George W. Bush “the devil” in a 2006 speech to the UN General Assembly, a move that was widely condemned around the world, but didn’t seem to affect his popularity at home. Less than three months later, Chavez was re-elected with 63 per cent of the vote. In 2011, Chavez confirmed that he underwent surgery in Cuba to remove a tumour from his pelvic region, although he never specified what type of cancer he had. Despite repeated surgeries, chemotherapy and radiation treatments, Chavez’s cancer returned and he made another trip to Cuba in December, shortly after he was re-elected again. 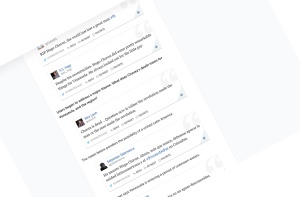 As rumours of Chavez’s death swirled, messages were posted to his Twitter account after his return to Caracas in February, saying: “We've arrived once again in our Venezuelan homeland. Thank you, my God!! Thank you, beloved nation!! We will continue our treatment here." A photograph of Chavez smiling, flanked by his two daughters and holding a current newspaper, was released as proof that he was still alive. Chavez died less than three weeks later. “As Venezuela begins a new chapter in its history, the United States remains committed to policies that promote democratic principles, the rule of law, and respect for human rights,” the statement said. "At this key juncture, I hope the people of Venezuela can now build for themselves a better, brighter future based on the principles of freedom, democracy, the rule of law and respect for human rights,” Harper said. 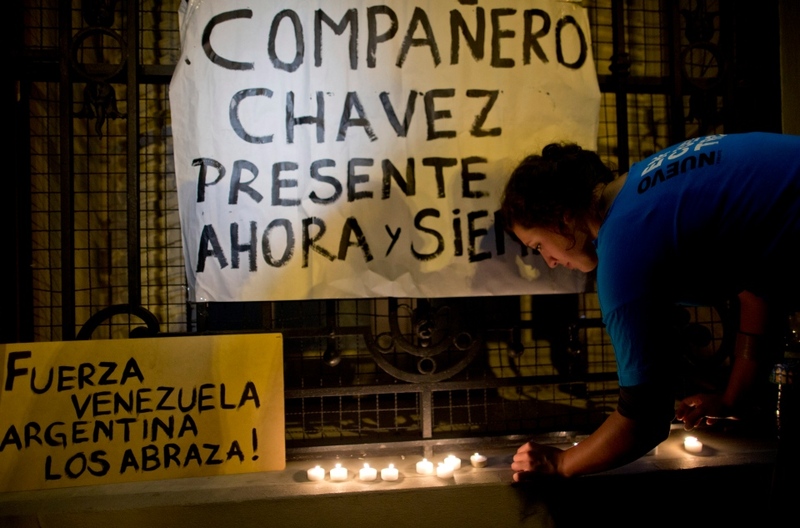 Interim Liberal Leader Bob Rae said Chavez’s death marks the “end of an era” and the beginning of a crucial chapter in Venezuela’s history. “It’s a complex situation,” Rae said of Chavez’s legacy and the question of who will ultimately succeed one of the most celebrated and reviled leaders in recent times. Chavez was a “classic combination of autocrat, populist, someone who was embraced by his people,” even though there were a lot of problems with the way he ran his country, Rae told CTV News Channel. But a lot of that support was based on intimidation, and many Venezuelans see Chavez’s death as an opportunity for a fresh start, Hidalgo told News Channel. 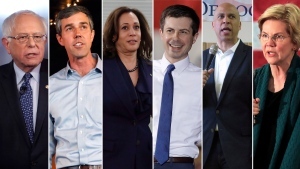 “I know many young Venezuelans who are eager to live in a normal country where they have access to many of the freedoms and liberties that we have in other countries in the Western Hemisphere,” he said, adding that Chavez grew more authoritarian the longer he held office. “Venezuelan society is deeply divided between those who love President Chavez and those who loathe him,” Hidalgo said. Shock and suggestions about the future from Twitter.